Christine Wood has always felt passionate about the environment and public well-being. 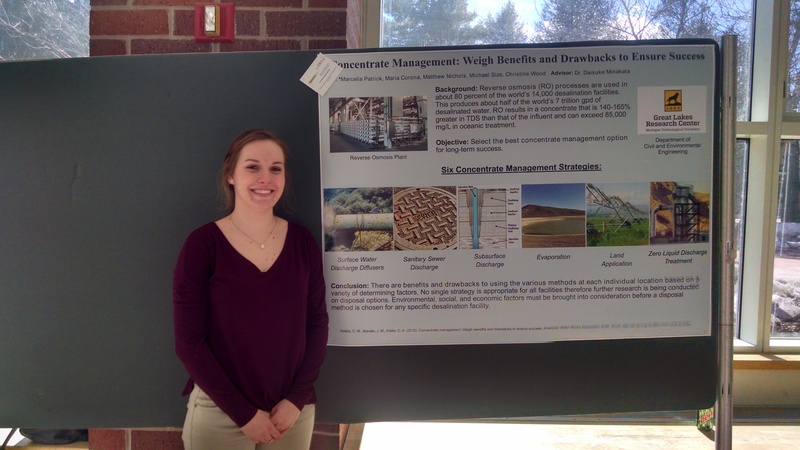 Environmental Engineering at Michigan Tech is allowing her to turn that passion into a career. Improving the relationship between humans and the environment has become Christine’s primary goal. Christine grew up in East Lansing, MI and began her college experience at Olivet College located in south central Michigan. As part of the transfer program, she transferred to Michigan Tech in the fall of 2016 to major in Environmental Engineering. Christine became involved in the Society of Women’s Engineers and the Young Women Leaders Program (YWLP). YWLP is unique to Tech and facilitated through the Center for Diversity and Inclusion. A mentoring program, YWLP pairs Michigan Tech female undergraduate volunteers with local middle school girls. Through YWLP, Christine continues to empower young girls to set goals, build positive self-esteem, and develop valuable communication and leadership skills. After spending a semester at Tech, Christine joined the Pavlis Honors College as part of the Custom Pathway. She quickly started taking on more leadership roles within the Pavlis community as a peer mentor and joined the Honors Ambassadors group in the spring of 2017. This past academic year Christine has led the bi-weekly Ambassador meetings and helped develop and implement several College events. Christine leads through example and consistently goes above and beyond to engage with students on a meaningful level. Her commitment to Pavlis and the campus community is why Christine was awarded the annual Pavlis Honors College Dean’s Scholarship this month. This prestigious scholarship is awarded to one Honors student annually in the amount of $1,000 to recognize their outstanding commitment to Pavlis programs and pathways. Pavlis students are nominated from within the department by faculty and staff, but ultimately selected by the dean. “Christine commits herself deeply to everything she does. 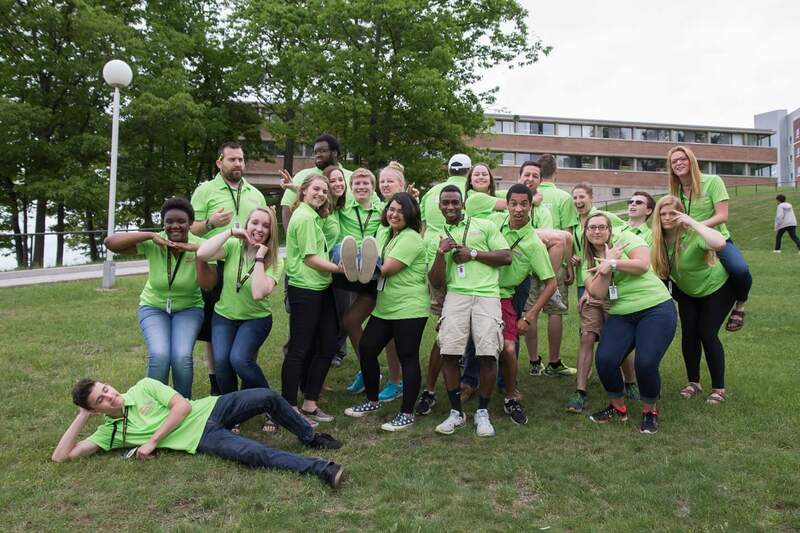 As a peer mentor in our first semester course, she worked diligently to create a truly welcoming and, yet, challenging environment for our students—really pushing them to learn and grow.” shared Lorelle Meadows, Pavlis Honors College dean. Christine is expected to graduate with her BS in Environmental Engineering in the fall of 2018, but plans to stay in Houghton to complete her MS in Environmental Engineering through Tech’s accelerated master’s degree program. Her ultimate goal is to work in wastewater consulting within the state of Michigan. Christine interned with the Wastewater Treatment Plant in Charlotte, MI and the Wastewater Department for Fishbeck, Thompson, Carr & Huber in Lansing, MI which both helped her realize her desire to focus on water and wastewater processing. Christine is currently involved in a research study which will serve as her honors project component entitled Reduction of Stream Erosion through Air Injection. Now president of the Chi Epsilon Civil and Environmental Engineering Honors Society, Christine had to initially obtain signatures from professors within her department for induction. This is how she became involved with Dr. Brian Barkdoll and his research regarding the prevention of erosion around bridges. While this research may deviate slightly from Christine’s wastewater focus, she has found the experience very rewarding. 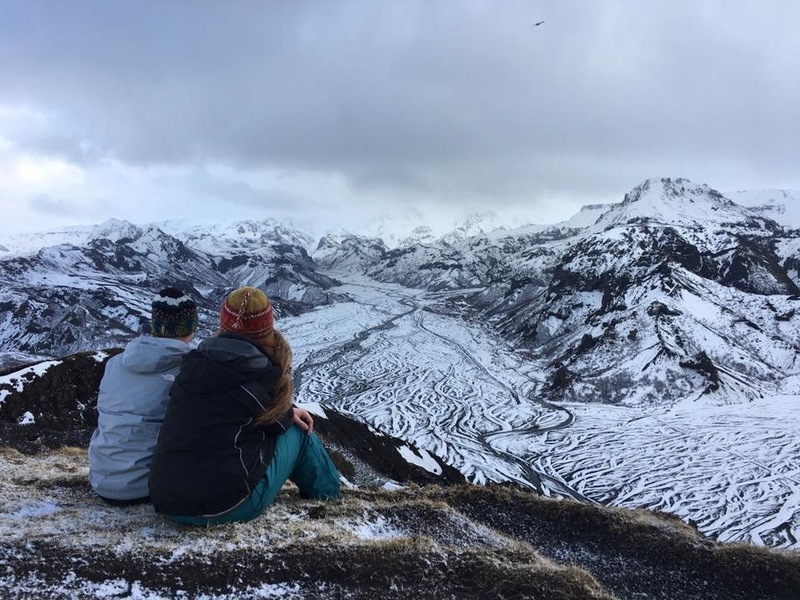 Applying knowledge and general understanding of how the natural environment functions to real-world problems is valuable to any student considering a career in consulting. Christine enjoys being active with softball, volleyball, running, and ultimate frisbee. She also enjoys attending and watching sporting events, especially MTU Hockey. Christine is an avid reader and will often spend her free time researching interesting facts about wastewater. Other things you can find Christine doing is socializing with animals, playing games and other activities with her friends. Sarah Jo Martens is fascinated by water. Learning how to conserve this precious resource is one of the reasons that led Sarah to choose a major in Environmental Engineering. The human impact on the Earth and its resources is getting increasingly more difficult to ignore. Sarah is committed to addressing these environmental issues in the field once she graduates, and plans to lead the way to a sustainable future. Sarah is enrolled in the Pavlis Honors College as part of the Custom Pathway. Sarah has volunteered with the Wisconsin Department of Natural Resources Water Department compiling data on water and soil quality. In 2016, Sarah spent seven months participating in a co-op with Expera Specialty Solutions as an environmental engineer. This hands-on experience not only taught her regulatory standards and processes for the industry, but also lessons that you can’t learn in a classroom, such as project management and the confidence to lead. 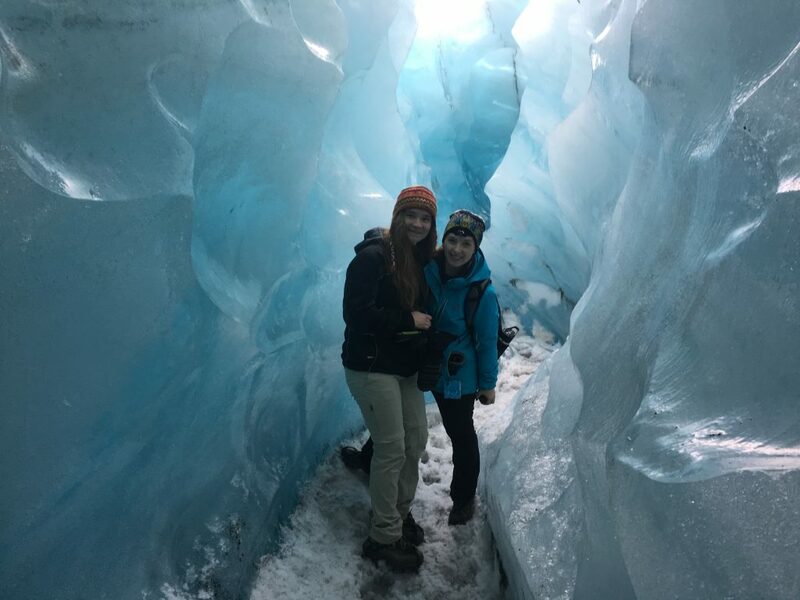 “The opportunity to be a part of real-world projects and see first-hand the impact of what is taught in the classroom was extremely beneficial to solidify the theories I had previously learned,” Sarah shared. 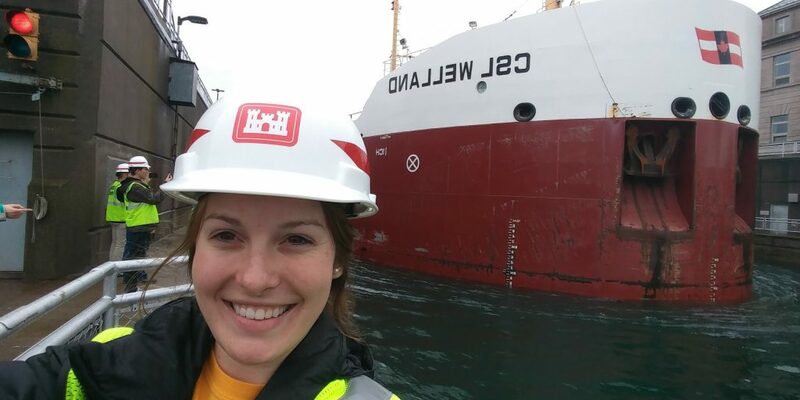 This past summer, Sarah completed an internship with GEI Consultants, Inc in Green Bay, Wisconsin as an environmental engineer and staff. The experience focused on technical and communication skills necessary for some of the projects completed by environmental consultants for government and industrial clients. Sarah wrote and contributed to many Phase I Environmental Site Assessments, Phase II Environmental Site Assessments, and completed soil & groundwater sampling & analysis. 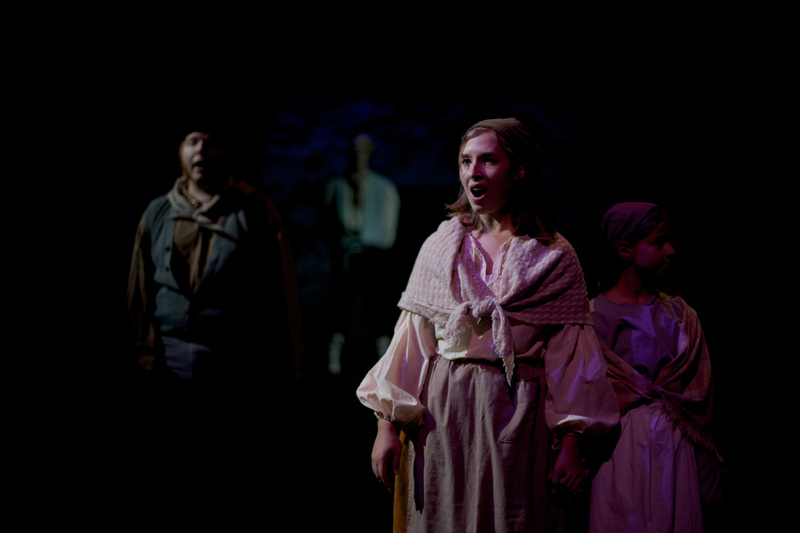 In addition to majoring in Environmental Engineering, Sarah is also minoring in Theatre. She recently wrote a play entitled “Leaving” that was chosen as a regional finalist in the Kennedy Center American Collegiate Theatre Festival. 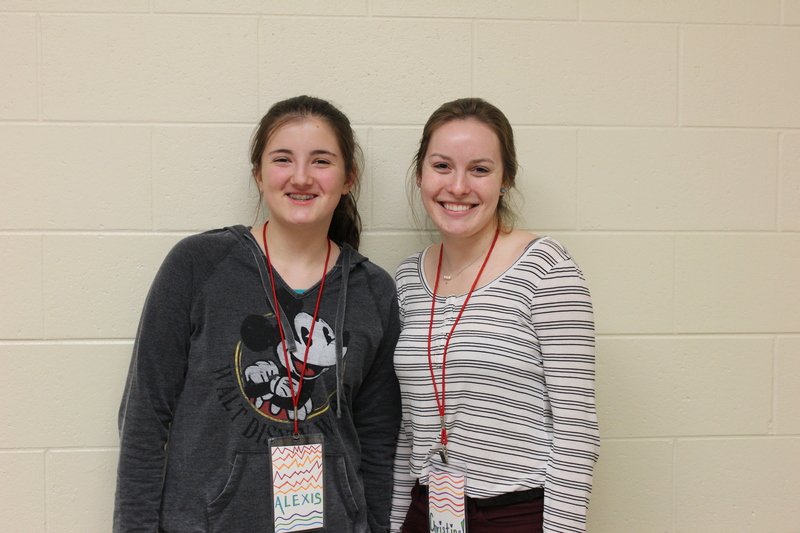 Her play advanced to the regional finals where college theatre students from schools in Michigan, Wisconsin, Illinois and Indiana competed in acting, playwriting, design, and more. “Leaving” was inspired by Sarah’s relationship with her sister Rachel, and was given a fully-staged reading, along with four other finalists at the Region III Festival this past January in Indianapolis. 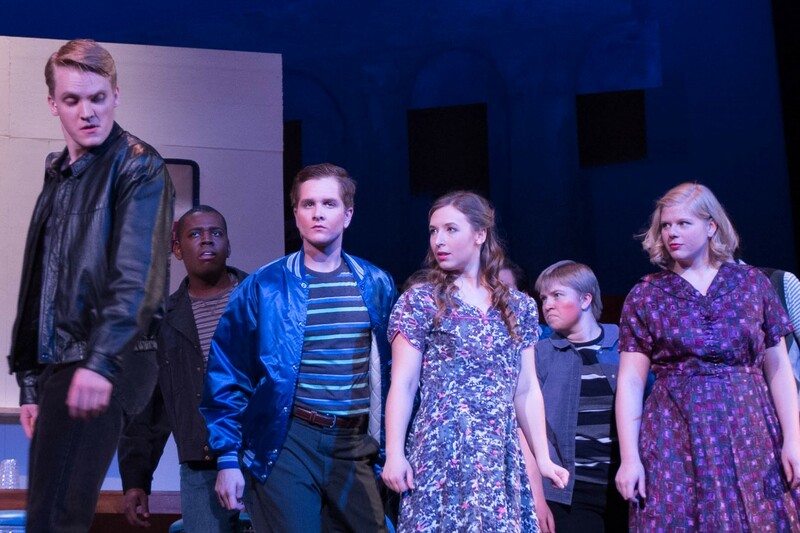 Sarah has also been nominated and participated in the Irene Ryan Scholarship Program acting competition three times. Sarah is a member of the Tech Theatre Company and is regularly seen at McArdle and the Rosza acting with the group. 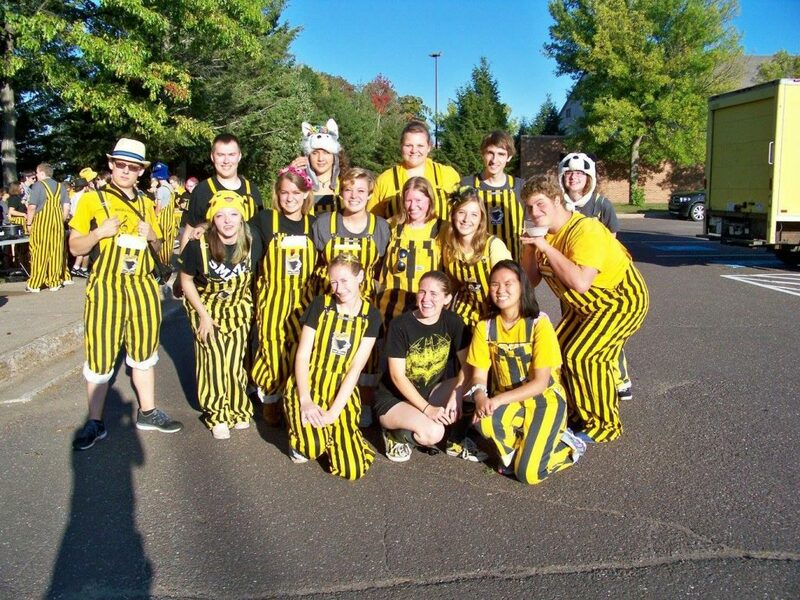 Last year, Sarah assisted with starting Michigan Tech’s chapter of Alpha Psi Omega, a national theatre honor society. Sarah also plays flute in the Michigan Tech Huskies Pep Band and is President of the Blue Key Honor Society – Michigan Tech Chapter. In 2016, Michigan Tech’s Department of Visual and Performing Arts honored Sarah with the Woman of Promise Award. Women of Promise recognizes current female Michigan Tech students from each academic department who go above and beyond what is expected of them in terms of being well-rounded. It honors students who have demonstrated academic achievement, campus and community leadership, good citizenship, creativity, and other characteristics of high-achieving individuals. This past spring, Sarah had the opportunity to complete a short term study abroad adventure with The Green Program and Reykjavik University in Iceland. 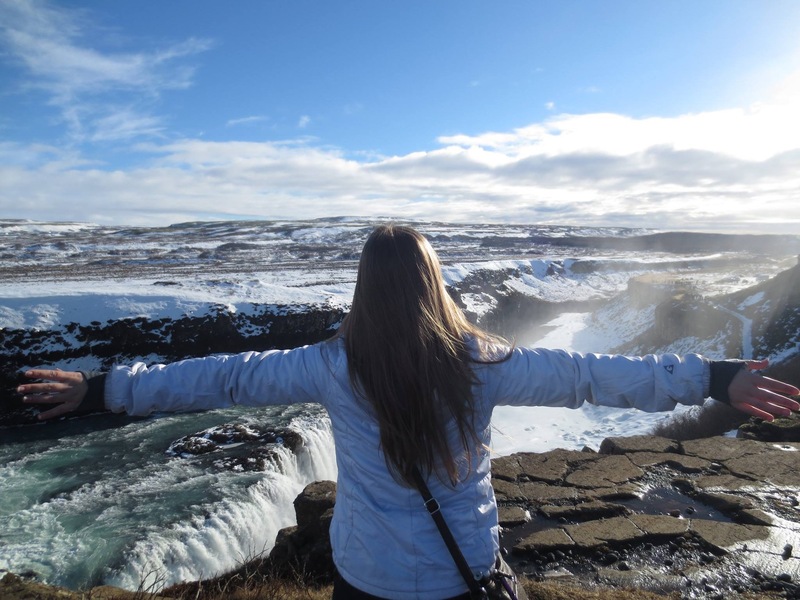 The ten day sustainability and renewable energy program included lectures, site visits, and experiences focused on the topics of hydroelectric power, geothermal energy, biomass production & usage, and the overall history & geology of Iceland that makes it unique. With nearly 100% of the country’s electricity drawn from renewable sources, the program was a playground of real-world examples of sustainable development. Sarah completed a capstone project with a team of 4 other students from Pennsylvania, Michigan, Virginia, and South Africa tying in concepts related to hydroelectric power discussed during the experience. The team completed a feasibility study for micro-hydroelectric power for small communities in rural Nepal where only 49% of the population is serviced by electricity. The project included research into the current electrical state of Nepal, resources available, cultural expectations, analysis of potential equipment, and cost analysis. The project was presented at Reykjavik University to a panel of professors who provided lecture series to the students throughout the week. The Pavlis Honors College uses Seelio, a higher-ed portfolio solution for managing and organizing student works and projects. Seelio provides a platform for students to easily and beautifully document their works, projects, and passions. Students can tell their professional story, share their personal brand and improve their online presence. Sarah Marten’s profile has been highlighted by Seelio as being exemplary of what students can do with the technology to better showcase their professional talents and accomplishments. Neffertia Tyner (second from the right) is a student staff assistant for the Michigan Tech Center for Diversity and Inclusion. Neffertia is a Psychology major and is planning to graduate in the Fall of 2017. As a Custom Pathways student in the Pavlis Honors College, Neffertia has chosen to focus on service. She volunteers at Dial Help which she believes complements her minor in Diversity Studies. Dial Help is a crisis and helpline service that provides immediate assistance over the phone or via text that attempts to relieve the stress that a caller might be experiencing from a crisis or critical situation. Neffertia receives calls from a diverse number of community members that vary in age, gender, religion, sexual orientation, culture and socioeconomic background while volunteering at Dial Help. Being exposed to such a diverse group of individuals has helped her to better understand the issues and problems that face people that are different from her. Working as a student staff assistant for the Michigan Tech Center for Diversity and Inclusion has inspired Neffertia to stand up for social justice within the campus community and beyond. Following the results of the presidential election, many on campus, particularly members of underrepresented communities, were feeling confused, hopeless and even scared. 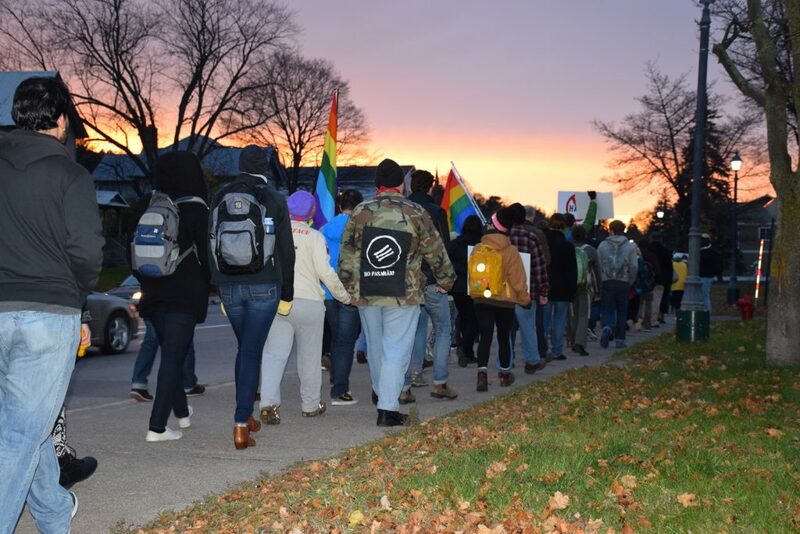 Within a week, Neffertia organized a silent march through campus and into town that was meant to offer support, comfort, and reassurance to those that needed it. 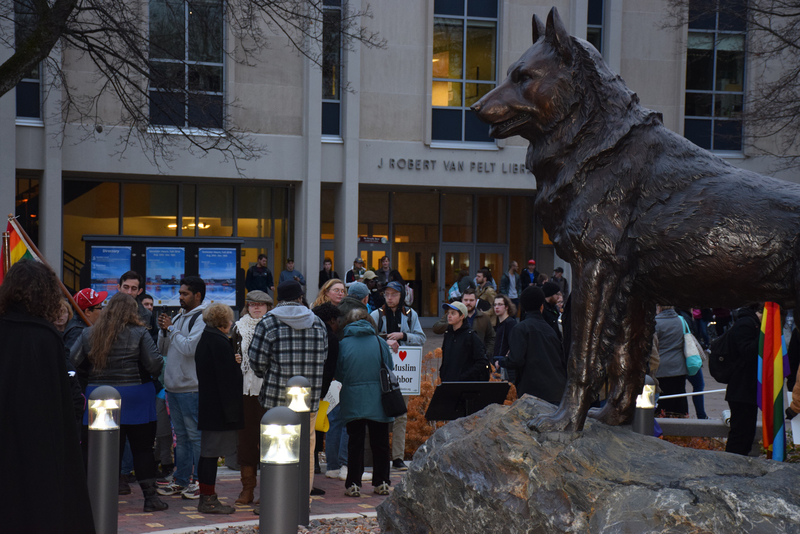 Several hundred students, faculty, staff, and community members gathered at the Husky statue on the evening of Wednesday, November 16th to march together in solidarity to demonstrate that we will not accept hate on our campus or in our community. Neffertia participated last April in an event organized by the new student organization, SAVE which stands for Sexual Assault and Violence Education. The purpose of this new student org is to raise awareness about sexual assault and domestic violence. 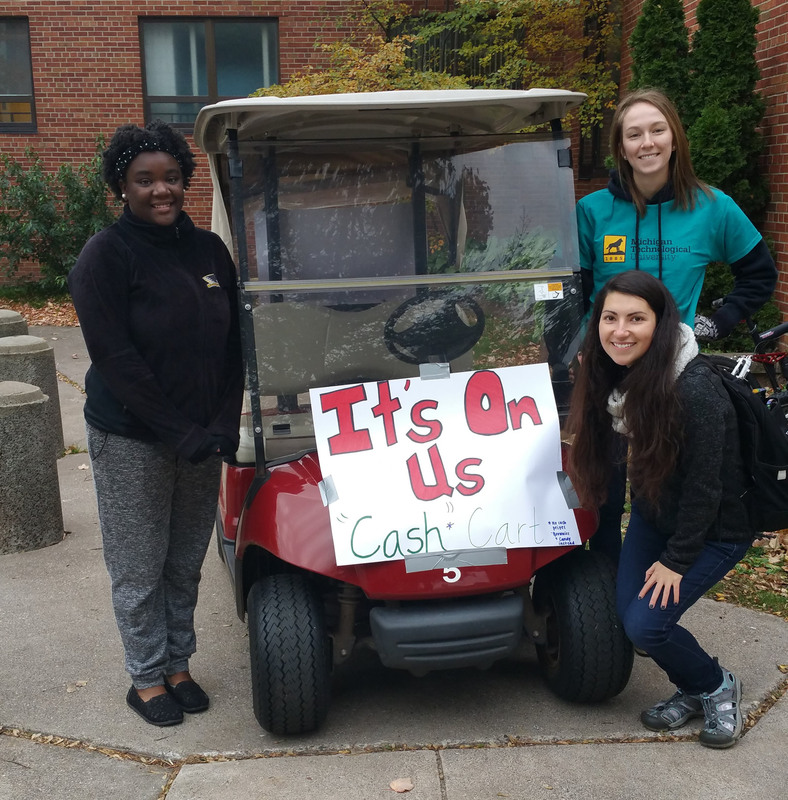 Neffertia along with other volunteers, drove around campus in the SAVE “Cash” Cart giving away prizes such as brownies and candy to help raise awareness about the resources Tech and our community have for sexual assault victims. April is Sexual Assault Awareness Month. 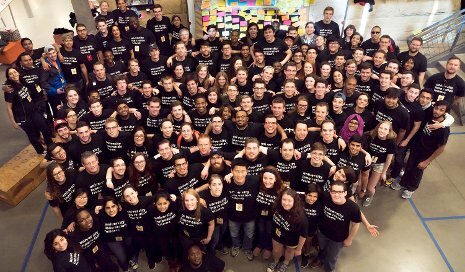 The “It’s On Us” initiative took root in 2014 and has been gaining momentum across college campuses nationwide. The campaign is dedicated to making a concerted effort to raise awareness and put an end to campus sexual assault. 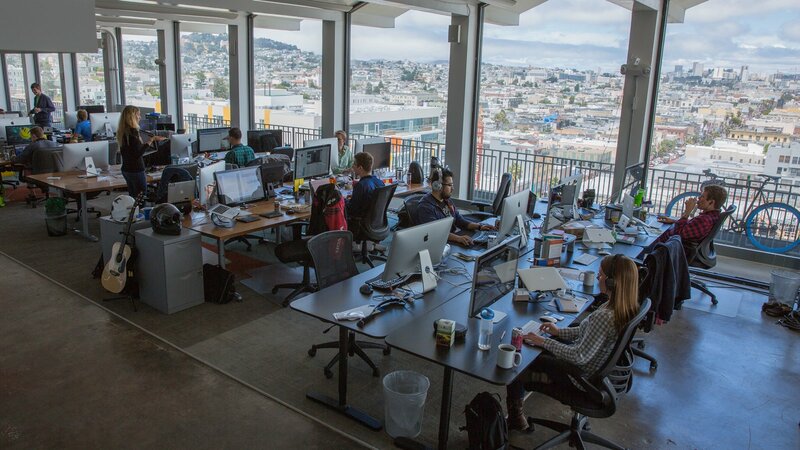 Brad works part-time as a product designer for Handshake, the Michigan Tech start-up that is now headquartered in San Francisco. He started as an intern while the company was still located in Houghton in 2014. David Shull, Michigan Tech alumni and Director of University Growth at Handshake, related, “I’ve had the chance to work with Brad on a few different teams now. At Handshake, Brad crafted major redesigns of the student on-boarding process. Over three months, Brad’s inquisitive nature enabled him to learn about the company, the team, and the users to create a new student experience that has been used by hundreds of thousands of students across the country. 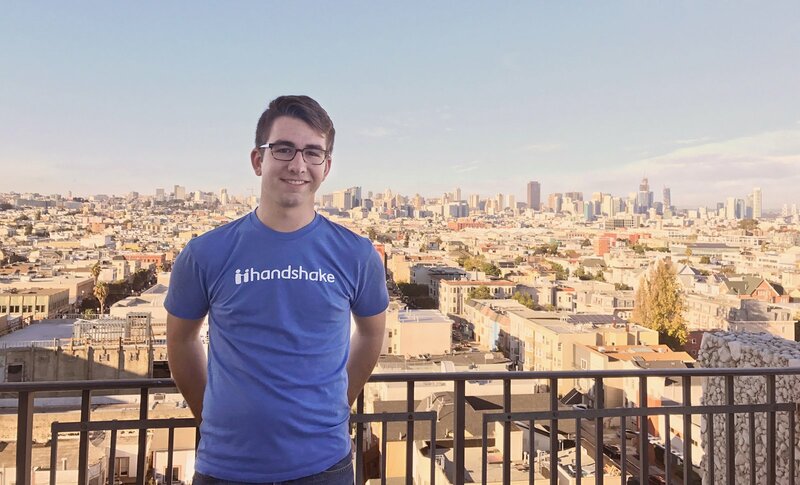 From day one, Brad was treated as a full time team member and impressed the entire team with his work ethic, design skills, and technical approach to problem solving.” Brad’s biggest challenge since working at Handshake is trying to involve more actual users in the design process. He’s currently leading many student-focused projects that will help to redesign the job search experience for all of Handshake’s users. With the new Michigan Tech Makerspace set to open in a little over a week, Brad has been busy trying to get The Alley ready. Next week, Silicon Valley alum will be visiting campus to take part in the Makerspace grand opening. As the Student Director, Brad incorporated a design thinking process to turn the old Michigan Tech bowling alley into a multi-functional makerspace that the entire University community can benefit from. Brad is a fourth year student graduating in the Spring with a Bachelors degree in Software Engineering. A Custom Pathways Innovation student, Brad sits on the Pavlis Honors College (PHC) Undergraduate Student Advisory Board and is very involved with Michigan Tech’s new Innovation Center for Entrepreneurship (ICE). 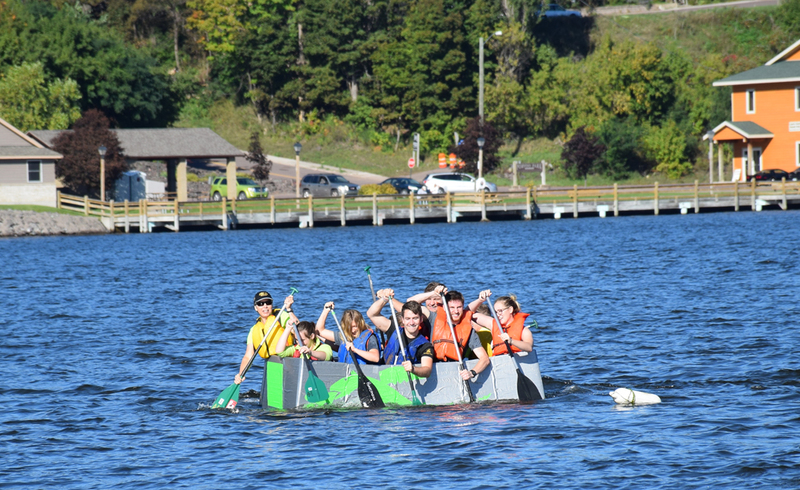 During Homecoming week, Brad gathered a team to construct a cardboard boat for the Pavlis Honors College to compete in the annual races. Dr. Meadows may have captained the boat, but Brad led the charge. The well constructed design stayed afloat, and PHC came in second in their race. Named University Innovation Fellow in 2015, Brad continues to bring the entrepreneurial mindset to Tech by increasing engagement on campus through innovation, design thinking, and creativity. He facilitates student workshops and coordinates the Maker Coach training. Brad is also putting what he learned through his involvement with UIF, to use at Handshake, as he develops personas to better understand the students using the platform. 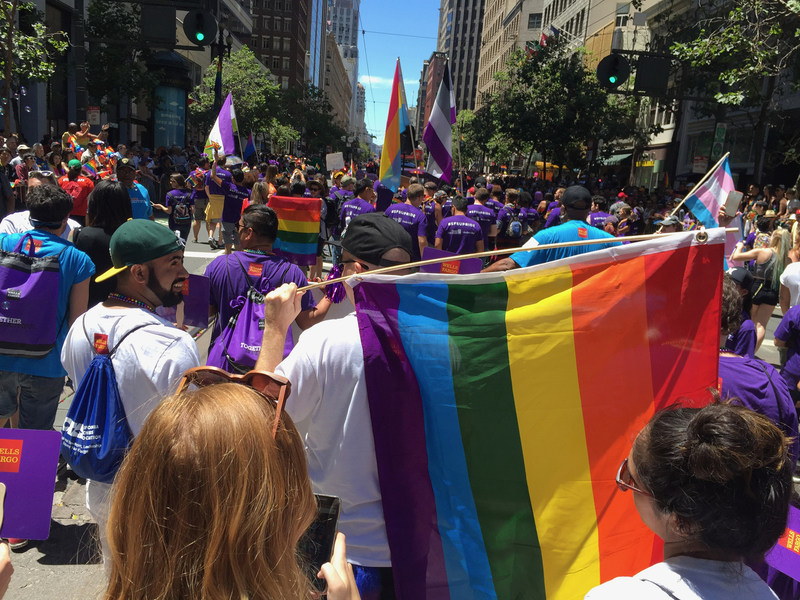 One of Brad’s favorite memories while working in San Francisco this past summer was marching in the Pride parade with a group called the Trevor project, which is a suicide hotline for LGBT youth. Outside of class, Brad enjoys spending time outdoors, hiking, skiing, and taking pictures. Self-proclaimed Harry Potter nerd, Brad bought the new book this summer on the day of its release and read it all in one day. He also loves volunteering at the Humane Society in his spare time to hang out with the cats. Brad Turner is redefining what it means to be an Honors student. Have a passion for innovation? Find out how you can get involved with the Pavlis Honors College. Applications are due October 23rd. The Quiltmaker’s Gift, written by Jeff Brumbeau and illustrated by Gail de Marcken. For those of you not familiar with this classic children’s book, it is the story of an old woman who makes elaborate, beautiful quilts, only to give them to the poorest people in the village. The greedy King, who required the people of the village to bring him their most valuable possessions, heard of the little old woman’s quilts and demanded that she make one for him. The old woman told the King that she would only make him a quilt once he had given away all of his possessions and became poor himself. The King found that as he gave away his possessions one by one, he became happier. 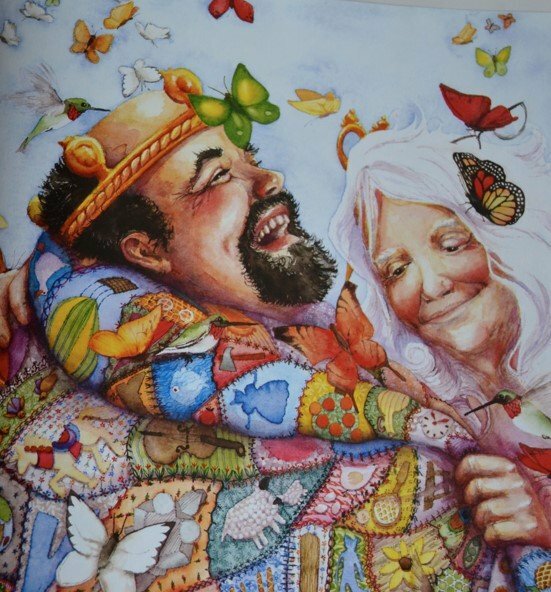 When he had finally given everything he owned away, the old woman presented him with a quilt that was more beautiful than any quilt she had ever made. The King remarked, “I may look poor, but in truth my heart is full to bursting, filled with memories of all the happiness I’ve given and received. I’m the richest man I know.” This lovely story demonstrates how fulfilling and rewarding service work can be, something Kemin has experienced first-hand. Kemin is passionate about community service. Her pathway to service didn’t start with the Pavlis Honors College though. 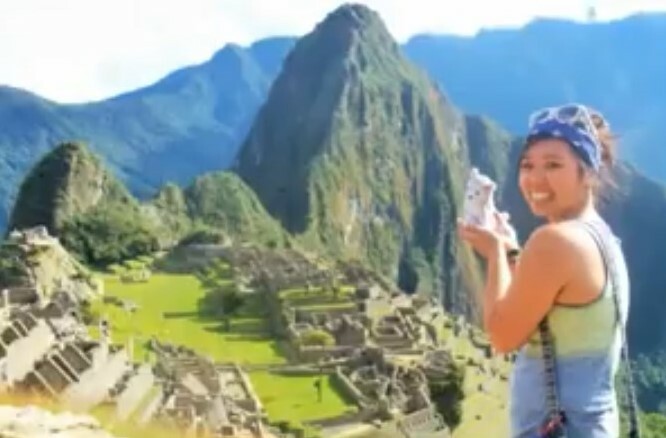 In 2014, she spent her summer in Lima, Peru volunteering at El Hospital del Nino with a non-profit organization called Aprendo Contigo. After nine weeks, Kemin realized that helping others was something she wanted to dedicate her life to. She applied to the Custom Pathway Community in the Pavlis Honors College in 2015 with a chosen focus on the service pathway. Kemin is a Biomedical Engineering major set to graduate next Fall. While at Michigan Tech, she was an Orientation Team Leader and participated in Leadershape. Kemin has volunteered at the UP Health Center and Portage Pointe Nursing and Custodial Care Center. 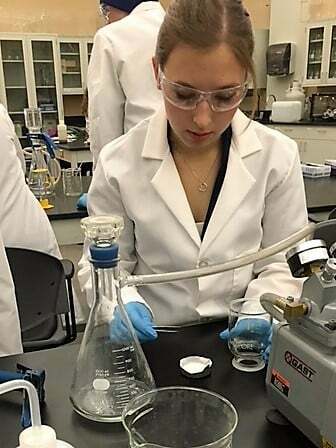 She also volunteered in a research lab under the direction of Michigan Tech’s Dr. Feng Zhao. In addition to all of these volunteering commitments, Kemin made time to visit Frank Pavlis at his home in Allentown, PA to do an oral history on his life. She created a masterfully edited video, that tells the story of a young man who was born to a modest farming family who grew to be one of Michigan Tech’s most successful graduates. This video will be shown for the first time later this month during the Pavlis Honors College External Advisory Board visit, and then publicly released shortly after. Kemin Fena continues to impress the faculty and staff at the Pavlis Honors College with her continued dedication to service and her community. Thank you Kemin for all you do! To learn more about Kemin, visit her Seelio profile @ seelio.com/kxfena. Check out the Custom Pathway Experiential Learning Community and click on Service to find out how you can get involved!